Once again, we start off the 2016 Halloween season visiting Shocktoberfest. This is one of the few haunts that open early and I wanted to get a head start this year. 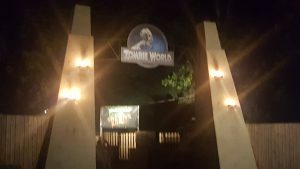 However, for the fourth year in a row, they have continued with the Zombie World theme, so not much has changed from last year. 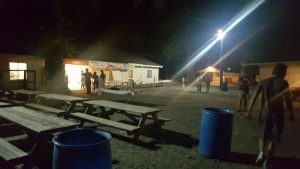 They did update 2 things this year, the location of the refreshments and the Unknown. Other than that, everything remained the same from last year, including the videos they show before the attractions. 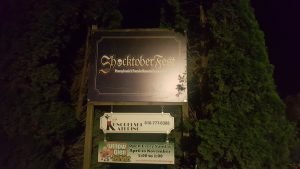 Its still a fun place to visit, it just wasn’t as good as previous years. 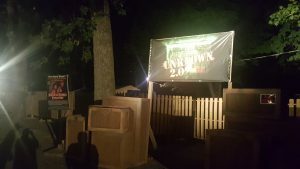 Themed hayride based on a story of a Zombie Park gone wrong. Starts with a themed movie intro. Lots of barn stops, scenery, and animatronics. 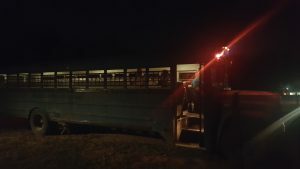 Wagon has no seats but is loaded with hay. Easy on and off with the use a portable stairs. Wagon is pulled by a pickup truck instead of a traditional tractor. This attraction continues to lack the amount of actors needed to pull this off. 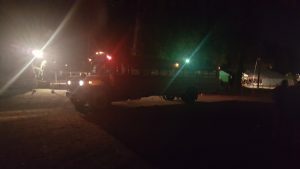 Story is the same as last year, so there is nothing new to see here. This attraction is nothing more than amusing. This is a very unique, physically demanding attraction. Built as a replica prison, it delivers on the experience. There are stairs to climb,, tunnels to crouch through, woods to walk around, and obstacles to overcome. A bonus feature to this attraction is the prison bus. 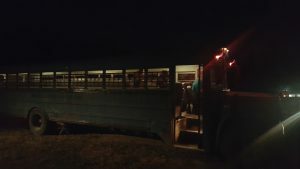 You ride the prison bus from club shock to the prison, providing a unique experience and adding to the value of the attraction. 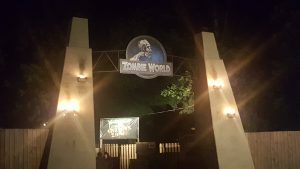 Again, more actors are needed in this attraction, which is probably why they offer the Zombie experience to fill that void. 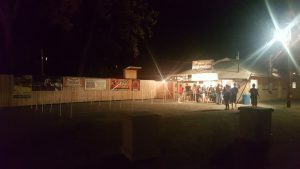 This is a unique attraction and overall, it is always fun and exciting. This is themed attraction with a story based on the experience of phobias. It starts with a short 3D intro movie. The attraction is dark and winding, but stay true to the theme. This attraction lacked the actors needed as well.. In previous years, this was usually well staffed, however, this was not the case this year. Lots of animatronics to pull off the special effects. This attraction used to be one of the scariest. Unfortunately, the lack of actors causes this to fall this year. However, they have an option to do this Half Naked, wearing only your underwear. But without the actors, I doubt this heightens any experience of fear. This attraction only has 2 runs – 7pm and at the end of the night. Since we couldnt get there before 7pm and we did not plan on staying the whole night, we did not do this attraction, so there is no review for this. 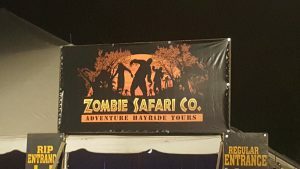 However, it sounds very interesting and fun, but due to the lack of actors in the other Zombie attractions, I am a little skeptical that it can deliver. 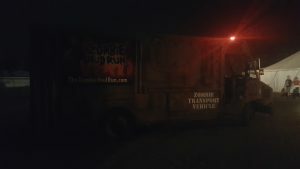 By the way, I’m not much of a runner, so I think the zombies would pick me off easily in this. 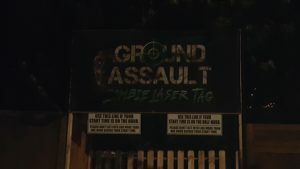 If they offer the Zombie Experience for this attraction, that may be better suited for me. 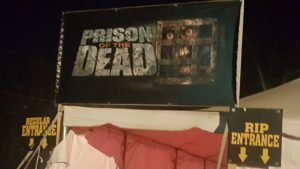 You get to dress up as a Zombie and spend an hour in the Prison of the Dead scaring people. Since it was early in the season and attendance was kind of low, I didn’t find value in participating in this attraction. However, there seemed to be quite a few people doing this, so there may be some value in checking this out. 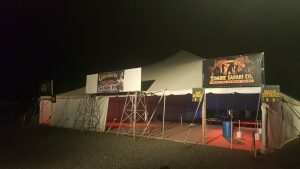 This is Shocktoberfest’s version of an escape run. This needs to be purchased in advanced and online. Reservations fill up fast and unfortunately, I was not able to reserve this for this day. No review on the experience for this, but I will try again next year. 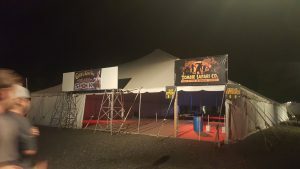 This is a new addition this year where you play laser tag with zombies. However, we did not choose to participate in this activity. It does look fun and I encourage all to give it a try. This fills the void between the attractions will food, games, and other entertainment. However, it doesnt follow the same Zombie theme as each one is unique in its offering. This has become more of a hangout spot as there are lots of picnic tables amongst the other side attractions. 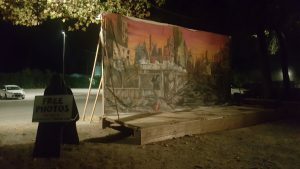 The food stands that were here have been moved to the loading area of the hayride. 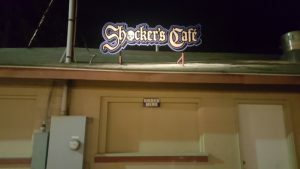 Its a distance between the ticket booth and the refreshments and its a little further walk from Club Shock. 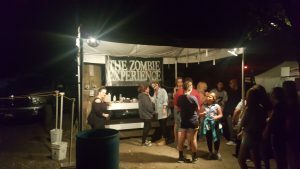 This is a unique area that has 2 functions – a dance club for teens and entertainment when waiting in line for the Zombie Safari and Prison of the Dead. However, this year, there was no DJ and no music. It was more of Club Dead than anything else. However, to be fair, this was opening night, so maybe the DJ will return on another weekend. 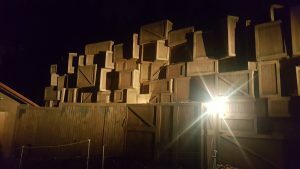 With everything that Shocktoberfest has to offer, they do try to deliver a fun and unique experience. 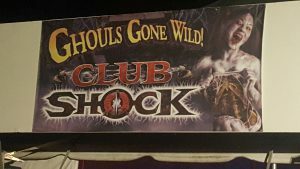 Shocktoberfest is a leader when it comes to innovation, as they do different things than other haunted attractions. Coming early does dilute the offerings as they are not running at full peak. However, once the crowds start coming, I can see where this becomes a fun place to visit. The lack of actors in all of the attractions really watered down the effectiveness of the haunts. These were not as scary as they could be and it became more of a side show walk through. I have stated before that I am not easily scared in these haunts. However, the fear factor was definitely missing this year. I want to say that since this was opening weekend, they were not fully staffed. Unfortunately, the lack of actors in these attractions really weakens them. 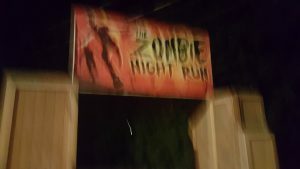 Doing a zombie theme requires ALOT of actors to pull of the feeling of a zombie horde that is chasing you. When you have 1 or 2 zombies per area, it becomes a little predictable. Shocktoberfest may want to invest a little more time and training for these actors. These are definitely amateurs and they do not scare very well. 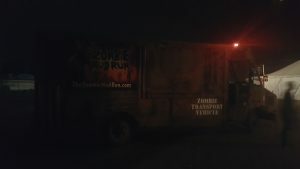 Haunted attractions that do provide this have a much more frightening experience to deliver. For the price, its worth a visit. I do have fun coming here, however, since the attractions were a repeat as last year, the experience wasn’t as great. I do recommend visiting this attraction.